This combination washer-dryer is perfect if you don't have an external venting source, which conventional dryers require, and it runs on electricity. 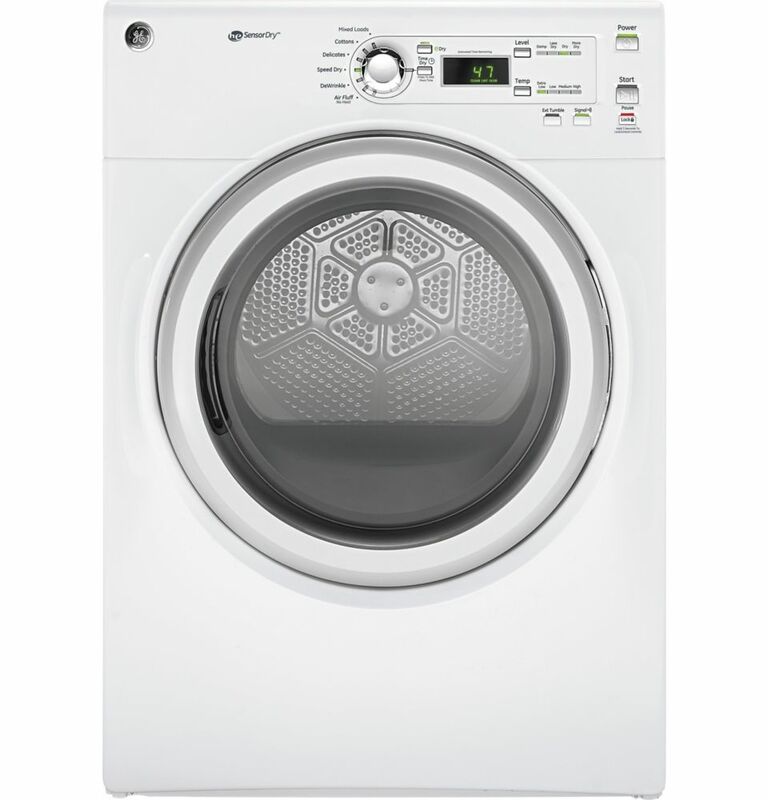 Although it is a space-efficient laundry solution, ideal for locations where a separate washer and dryer wouldn't fit, the full-size tub (5.0 cu.ft.) means you won't be compromising on washing capacity. Dream big, steam big. When you picture your dream laundry room, this is the LG dryer that you'll want in it. Every contour, every elegant line creates a look like no other, with unexpected touches like an integrated control panel right on the door. The mega 9.0cu. ft. capacity can keep up with even LG's biggest washers, load for load. And no dream laundry room would be complete without the power of LG TurboSteam technology, which lets you reduce wrinkles and odours and gives lightly worn favourite clothes new life in only 10 minutes. Unless explicitly stated otherwise, all washers and dryers are sold individually, not as sets, and all accessories such as pedestals and stacking kits are sold separately.